20 December 2017 – BALTIC Centre for Contemporary Art are pleased to announce the first UK presentation of Jasmina Cibic’s latest NADA film trilogy (9 February – 28 May 2018). For This Machine Builds Nations, Cibic has developed a site-specific installation, showcasing the three NADA moving-image works, as well as a performative installation, Show the Land in Which a Wide Space for National Progress is Ensured. Jasmina Cibic (b. Ljubljana 1979) works in film, sculpture, performance and installation to explore ‘soft power’ – how political rhetoric is deployed through art and architecture, particularly examining how cultural production is used by the state to communicate certain principles and aspirations. Through unfolding the complex entanglements of art, gender and state power, the artist encourages viewers to consider the strategies employed in the construction of national culture. NADA, meaning “hope” in Croatian, examines three of European modernism’s star architects and the role their work has played in national representation during decisive moments in European history. The starting point for Act I is Vjenceslav Richter’s unrealised design for the Yugoslav Pavilion at the Brussels World Exhibition in 1958; Act II takes place in Arne Jacobsen’s Aarhus City Hall (1937-1942); and Act III addresses Mies van der Rohe’s Krefeld architecture of the 1920s. Upon entering the exhibition, viewers are met with Show the Land in Which a Wide Space for National Progress is Ensured, a monochromatic landscape composed of images drawn from the photographic archive of Yugoslavia’s first President, Josip Broz Tito. During the exhibition preview (Thursday 8 February) a special event will take place, where performers will gild banners bearing aphoristic phrases collected from political speeches on nation building, setting the stage for Cibic’s trio of films in the following rooms along with architectural fragments and interior fabrics that form part of the films’ scenography. stagecraft and re-enactment. Realised in films and installations, her on-going performative practice is an ‘enacted’ exercise in the dissection of statecraft. Her multi-layered approach draws together primary sources and falsified narratives. This wilful overwriting creates shifting meanings and highlights historical uncertainties and untruths, especially in the gendering of the past. Cibic plays a double-game, at once decoding mechanisms of power whilst building her own allegorical structures. Nada: Act I was supported by the Museum of Contemporary Art, Zagreb. Nada: Act II was co-commissioned by European Capital of Culture Aarhus 2017, BALTIC Centre for Contemporary Art Gateshead and supported by Arts Council England, Northern Film School at Leeds Beckett University and Waddington Studios London. Nada: Act III was commissioned by the Kunstmuseen Krefeld and supported by Arts Council England, Northern Film School at Leeds Beckett University and Waddington Studios London. Jasmina Cibic (Born 1979, Ljubljana, lives and works in London) represented Slovenia at the 55th Venice Biennale and has realized numerous solo exhibitions, including those at Museum Haus Esters, Krefeld; the Esker Foundation, Calgary; MSU Zagreb; MOCA Belgrade; Aarhus 2017; MGLC Ljubljana and the Ludwig Museum, Budapest. She participated in group shows and commissions at Bard College’s Hessel Museum, New York; Ambika P3 London; Pera Museum Istanbul; MG+MSUM Ljubljana; the Kunstmuseum Bonn; the Musée national d’histoire et d’art, Luxemburg; the City Gallery Wellington and the Guangdong Museum of Art, China. She was the recipient of the MAC International award in 2016. In 2018, Cibic will have solo exhibitions at DHC Art Montreal. Her book ‘Spielraum’, is published in 2018 by MOCAB Belgrade and BDP London and ‘NADA’ by Kunstmuseum Krefeld and Kerber Verlag. BALTIC is a major international centre for contemporary art situated on the south bank of the River Tyne in Gateshead, England and has welcomed over seven million visitors since opening to the public in July 2002. BALTIC presents a distinctive and ambitious programme of exhibitions and events, and is a world leader in the presentation and commissioning of contemporary visual art. 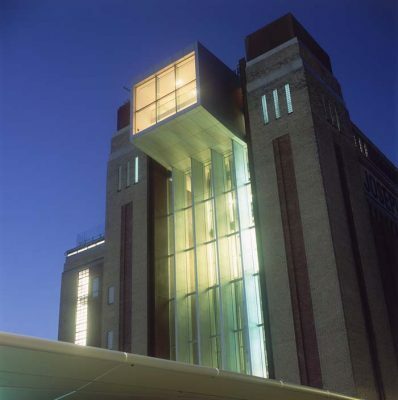 Housed in a landmark ex-industrial building, BALTIC consists of 2,600 square metres of art space, making it the UK’s largest dedicated contemporary art institution. BALTIC has gained an international reputation for its commissioning of cutting-edge temporary exhibitions. It has presented the work of over 396 artists from 54 countries in 197 exhibitions to date. Baltic Centre for Contemporary Art is an international centre for contemporary art located on the south bank of the River Tyne alongside the Gateshead Millennium Bridge in Gateshead, North East England.